The decision to upgrade is getting more confusing all the time. The old computer, desktop, is getting noisy, it is getting really slow, and things are just not working the way they use to or should. That, and the fact that they look ugly and take up a lot of space. No wonder computer sales are so dismal and to top it off, Intel says that they will be getting out of the mainboard market in the next couple of years. But people are still asking what to get and when they don’t succumb to the cheap throw away of the day from the superstores, really have quite a variety of options. Downsizing to a tablet is a very attractive option to many folks these days and while there are a few options for those that want the Windows 8 experience, I think that there are many better alternatives out there. I think Windows 8 is a good choice if you already have Windows 8 running on a computer or a Nokia smartphone. The Microsoft Surface Pro is not inexpensive at $1130 with the attached keyboard. The snag is that most people don’t. And you know, it still all should boil down to the basic question that you should be asking yourself. What do you want to do on it? If the answer is check the occasional email, surf the web, and read a book, then the tablet is going to be a good choice. 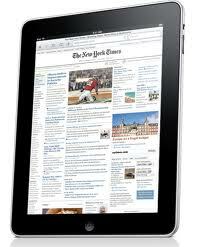 If you are an iPhone smartphone user, then I would recommend getting the Apple iPad which will cost you around $499. 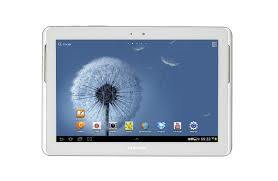 If you are a Google Droid smartphone user, then go with the Samsung Galaxy tablet. You can get the Galaxy 10.1 Tab 2 (shown below) for around $300. My rational is that each one has a very unique operating system behind it and if you are already comfortable using the Apple, Google Android, or Windows 8 operating system on the smartphone, then make life easier on yourself by sticking with what you know. For a Microsoft Windows computer user, do you really want to have to keep working on the learning curve for three different operating systems? And yes, right now it is too early to think about Blue. When you do pick that tablet, don’t succumb to the idea that you can have always on internet access because it will cost you $50 per month. Not worth it. Just upgrade your internet connection at home to include Wi-Fi and if you want to do your surfing outside your home, then go sit in a Starbucks, McDonalds, and one of a million other places that have it installed. The other tip for the tablet is that unless you are a movie junkie, then you don’t need a ton of memory built into it. 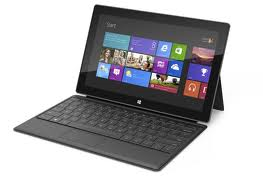 That is of course, assuming that you are not getting a Windows 8 tablet. So go to the store, look the tablets over, and remember, they are great for web surfing, reading emails, and of course, games. If you are thinking about some heavy document and spreadsheet or graphics use, then think again about the tablet as you will definitely need a keyboard add on for it. Also, don’t plan on using Microsoft Office on the tablet either though there are a number of Office alternatives available on both the Galaxy and Apple iPad and they do work well enough to get your work done. Here you have a few more options to replacing that worn old desktop. Even though Intel will be bailing out of the mainboard market, there are lots of other really good mainboard makers out there to go with so don’t worry about that. With some of the newer technologies like Mini ITX, you can actually get a pretty fast replacement computer that takes up a lot less space. How about a computer that takes up a third of the space as that old tower so that the biggest thing on your desk is the printer. This Antec ISK300 case is a good starting point. Another option is what they call the all in one. 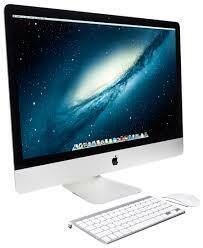 Apple has a couple of really good ones and now you can get them from other makers as well including Dell and HP. I am still not that fond of the All in Ones mostly because of the weight and the problem that if anything goes wrong with any part of it, you have to take the entire system back to the shop for service. It seems that many people already have purchased the 21 to 24 inch monitor that they want so just buy one of the small form factor computers to go with it. That way if the computer needs service, it is far easier to take it in than to haul in the entire system. If you don’t really mind the mid tower box, then there are also some very nice alternatives that not only look great, but are quiet as well. I know that when I upgraded my own system a while back, I was amazed at how much quieter my office was. You do get used to the noise but how nice it is to actually hear the birds outside. Fractal Design and Antec make some very quiet cases but you need someone to build that computer for you. 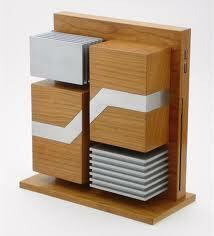 Finally, if you do need something that will fit into décor and style, take a look at Jeffry Stephenson’s designs. Find him at: http://slipperyskip.com/ Well worth the visit.